Hot Cross Buns are traditionally served on Good Friday, Easter, and Christmas. Spicy sweet rolls filled with dried fruit and iced with a cross on top. Hot Cross Buns was the very first song that I ever learned to play on the recorder in the fifth grade. Three simple notes learned in half an hour, and suddenly I felt like a Recorder Virtuoso. How’s that for progressive education? Sadly, my recorder skills barely progressed beyond Shortenin’ Bread by the time of our spring concert, so my dream of millions of concertgoers clamoring to see me play the recorder was short lived. Shattered illusions of grandeur aside, I was able to impress Son #1 with my mad recorder skills when he was learning to play the recorder in the fifth grade. So I guess I’ll always have that going for me. Another memory near and dear to me is that of actually eating Hot Cross Buns at Easter time. Growing up with divorced parents, I rarely spent a holiday in my own home. I did luck out in that both sides of my family served Hot Cross Buns at Easter. I never realized that the “raisin buns” that I grew up eating with “lamb butter” had a any significance to the season other than the fact that they were always present. All I knew was that they were soft, warmly spiced, and delicious! The lamb butter was actual butter in the shape of a lamb, not butter made from an actual lamb, be-tee-dubs. I felt the need to clarify. 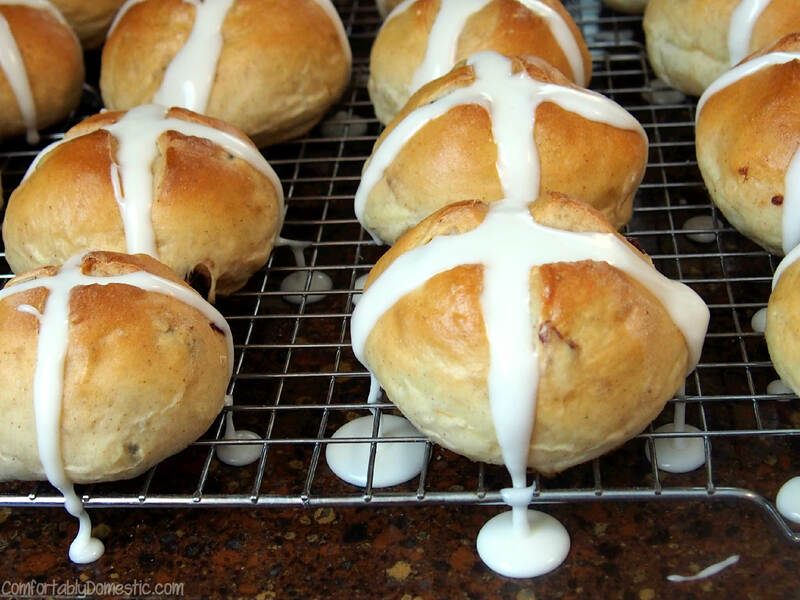 What I discovered is that hot cross buns are traditionally served on Good Friday (the Friday before Easter) to signify the crucifixion of Christ. 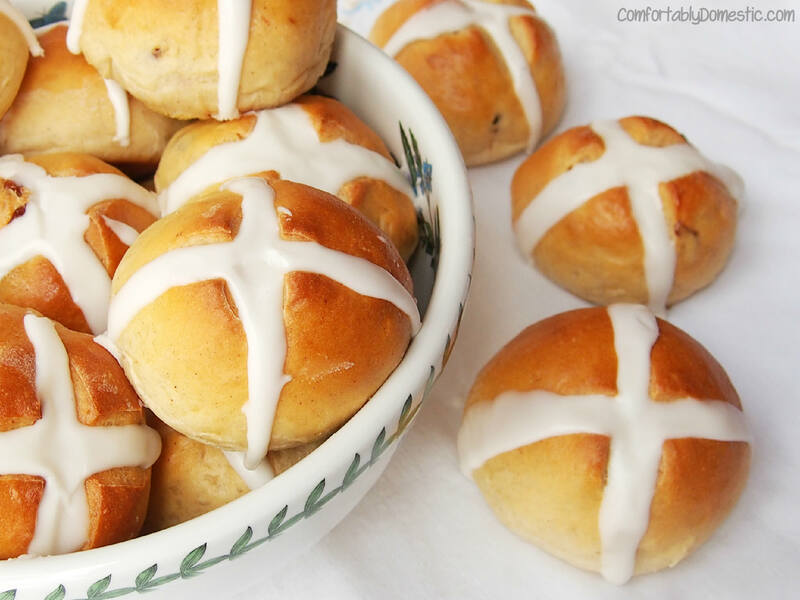 The buns were so wildly popular that in Tudor England, they felt compelled to ban the sale of hot cross buns or other spiced breads with the exception of on Good Friday, Christmas, or for burials. Due to that decree, hot cross buns were more commonly made at home rather than in bakeries. English folklore surrounding the buns claims that hot cross buns baked and served on Good Friday will not spoil or mold throughout the year. Another tale insists the buns to be little medicinal pillows of happiness that will cure the sick when eaten. Bakers have been known to hang a hot cross bun baked on Good Friday in their kitchens to ensure that all of the breads baked in their ovens in the coming year will turn out perfectly. I love bread as much as the next gal, but I’m not so sure that I want anything hanging around my kitchen for a full year, even if it’s supposed to keep my breads from falling flat. 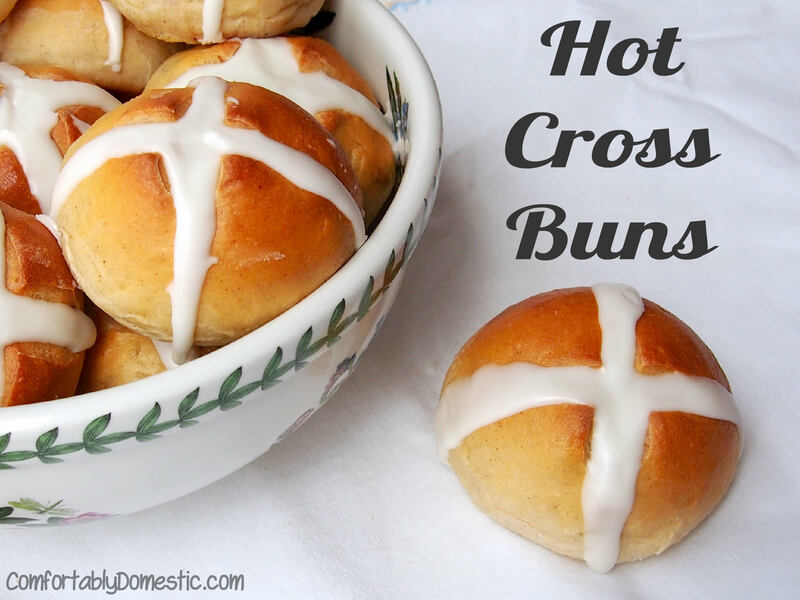 What I am sure of is that Hot Cross Buns are heavenly, lightly spiced, sweet rolls that are speckled with dried fruit, and topped with a creamy icing. The recipe is simple as far as breads go, so I’m confident that it’ll be fool proof in your kitchen. Neither of my grandmothers ever used a stand mixer to make bread dough, but I did. Rest assured that this dough can be mixed in either a stand mixer or by hand. After the initial rise, the dough is deflated, turned onto a floured surface, and cut into a couple dozen pieces. Then the pieces are rolled into balls, pinched to seal, and placed onto prepared baking sheets to rise again. Once the buns have doubled in bulk, brush them with a quick egg wash to glaze the tops. 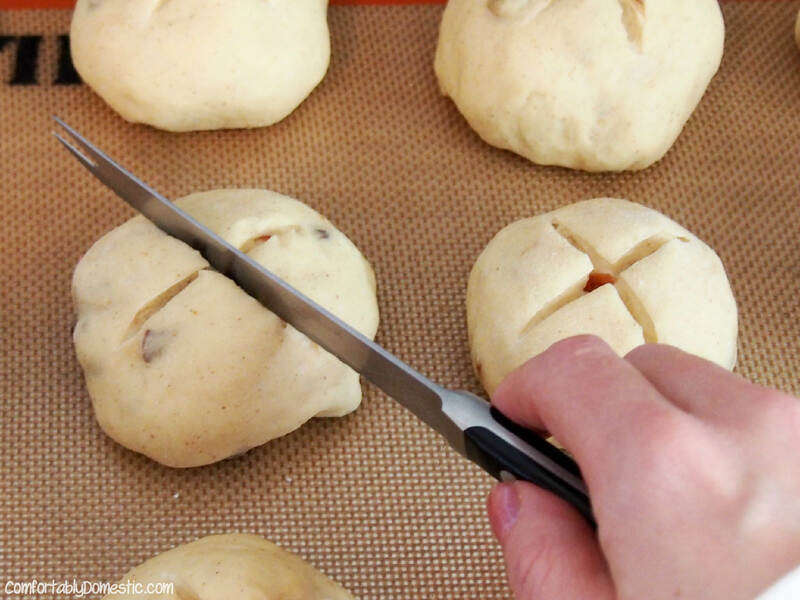 After brushing with glaze, cut a cross into the top of the buns before baking them. Once out of the oven, the buns are allowed to cool almost completely before being striped with gooey icing. Hot Cross Buns are so wonderful that we don’t wait for special occasions to indulge in them around here. I should probably mention that I make my buns on the larger side so that they are perfect for sharing. In fact, sharing a Hot Cross Bun is said to ensure friendship in the coming year. Half for you and half for me! Between us two shall goodwill be! Share a hot cross bun with me, Friends! 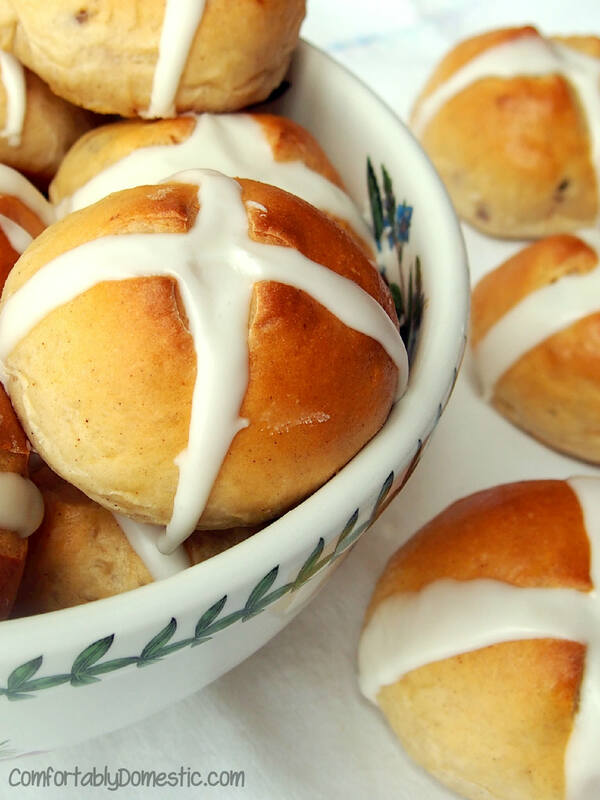 Traditionally served on Good Friday, Easter, and Christmas; Hot Cross Buns are spiced sweet rolls that are studded with dried fruit and iced with a cross on top. Heat the milk in a glass measuring cup in the microwave just long enough to take the chill off and bring the milk to no more than 110 degrees F. (About 1 minute.) Sprinkle the yeast over the warm milk, stirring to submerge it in the liquid. Let the yeast mixture stand while gathering the remaining ingredients. In a large bowl, cream the butter and sugar together until fluffy. Add the eggs, salt, cinnamon, allspice, and cardamom and continue to beat the mixture until it is well blended. Pour the yeast mixture into the bowl, stirring it until it is well incorporated. 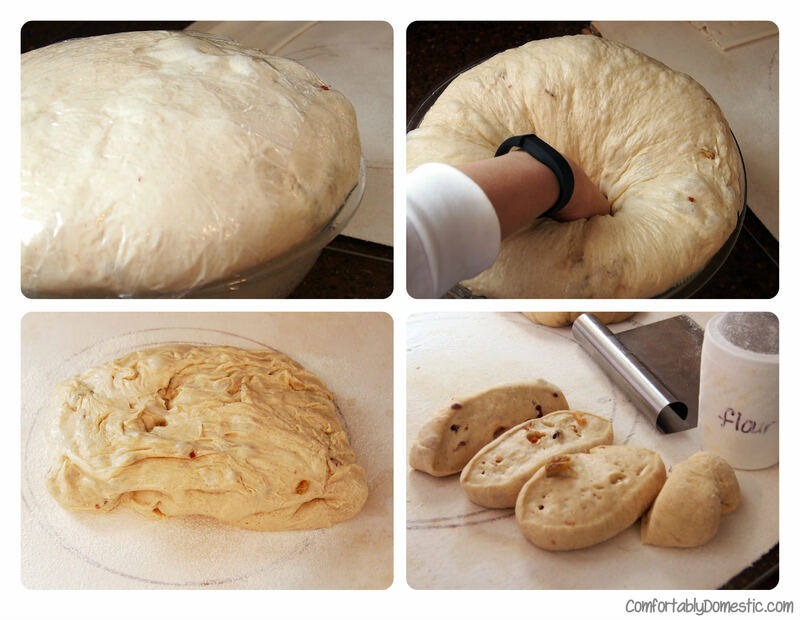 Gradually add four cups of the flour, one cup at a time, to form a smooth, soft, and sticky dough. 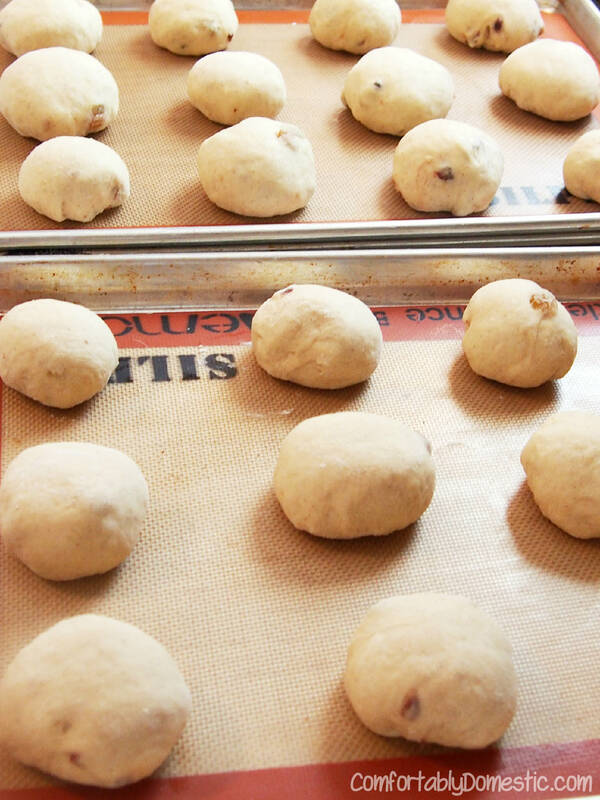 Fold the golden raisins and dried cherries into the dough, and then gradually work in the remaining 2 ¼ cups of flour. 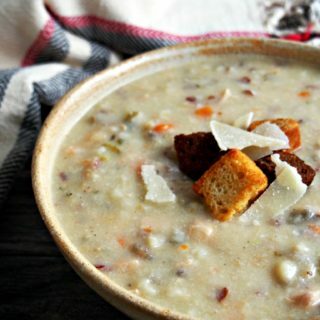 Once all of the flour has been incorporated, knead the dough until it is smooth and elastic. I prefer to use an electric stand mixer to do the kneading. Simply attach the dough to the mixer and knead the dough on speed 2 for 2 to 3 minutes. 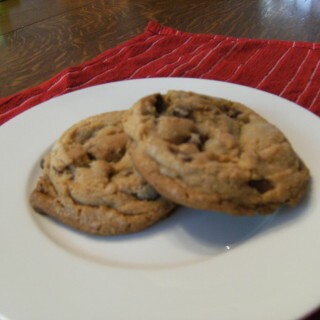 The dough may also be kneaded by hand by turning the dough out onto a lightly floured surface and kneading for about 8 to 10 minutes. In the meantime, preheat the oven to 375 degrees F. Line several baking sheets with parchment paper or silicone baking mats; set them aside for later use. Once the dough has doubled, lightly depress the dough to release some (but not all) of the air bubbles. Turn the dough onto a lightly floured surface to roll it into a large log. Use a bench scraper or sharp knife to divide the dough into 24 pieces. Roll each piece into a smooth ball, pinching the bottom to seal. 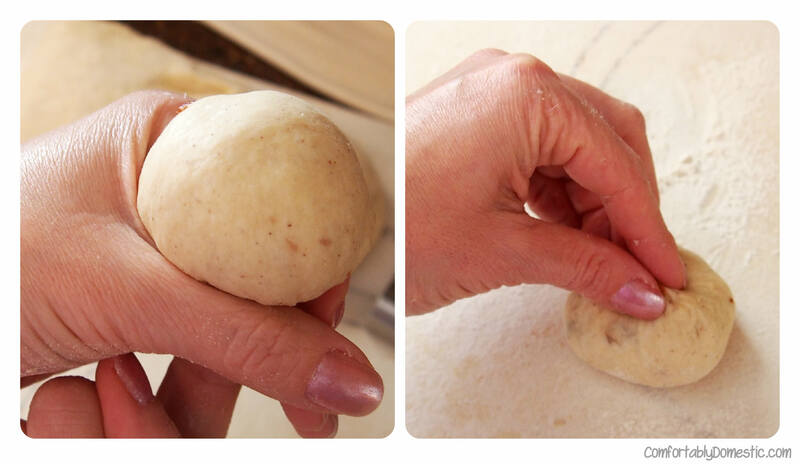 Place the dough balls, pinched side down, 2-inches apart onto the prepared baking sheets. Cover the dough with clean kitchen towels and let them continue to rise in a warm area until doubled. (About 30 minutes.) While the dough is rising again, whisk the egg with a little cold water to make an egg wash.
Once the dough has doubled in bulk, brush the tops of the buns with the egg wash, and then cut a shallow cross in the top of each. Bake the buns for 15 to 18 minutes, or until nicely browned. Transfer the buns from the baking sheets to a wire rack to cool. While the buns are cooling, prepare the icing by whisking the confectioner’s sugar with the meringue powder to combine. (The meringue powder will help the icing retain its shape after piping it over the buns.) Stir in enough milk to reach the desired consistency for the icing. Scoop the icing into a plastic sandwich bag. Squeeze the icing toward one corner of the bag, and twist the remaining plastic at the top to form a piping bag. Pipe the icing over the buns once they are mostly cool, but are still a touch warm. Snip a small corner off of the piping bag and pipe the icing in the shape of the cross over the top of the buns. Allow the buns to finish cooling and the icing to set before serving. Prep Time: 30 minutes, plus 1 hour 30 minutes rise time, Cook Time: 15 minutes, Total Time: 2 hours 15 minutes. Excellent step-by-step presentation, my friend! Haha! I think Hot Cross Buns is the first song learned on most instruments. Thanks, Nick!